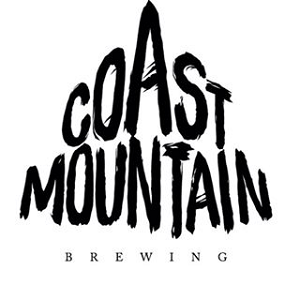 In 2016, Coast Mountain opened in the same industrial area to the west of Whistler’s town centre that Whistler Brewing Company has occupied for the last decade, since it moved operations back from Kamloops. But never mind: in short amount of time, Coast Mountain has gone from the new kids on the block to the best kids on the block: if you’re looking for the best brewery in Whistler, you want to be here. When you step inside their tiny but adorable tasting room, designed to be the inside of a Whistler chalet, you’ll be embraced by the warmth of their staff and delirious by the taste and depth of their beer. Coast Mountain prides itself on strong core beers: consider their Surveyor IPA, which not only captures ta perfect balance of bitterness, but the smell and flavour to complement a perfect Pacific Northwest style. Or their Forecast West Coast Pale Ale, or Bonfire Stout: nothing crazy in terms of flavours, but no misplaced notes. Half of their tap list is always changing, so anytime you’re up in Whistler you’ll want to stop by to try what’s on, ranging from their orange-centred Juice Box Wit to an interesting Wild Creatures Rustic Farmhouse Ale, to a great little 3% tart ale (First Aid Kit may be our favourite radler/light sour out there) to a Dank IPA with strong nodes of candy, and hops that are not just bitter, but contribute well to the overall palette. There’s a primary focus on IPAs and neat sours, but there’s enough less aggressive styles for everyone on tap. Nothing they do is upper echelon yet, but everything is very competent, and that’s more than good enough for us. To date, most of their focus is in the Whistler area, but we wouldn’t be surprised to see that change in the years ahead: these are interesting beers that would get plenty of play in plenty of cities.